Masterminded by brothers Simon and Nils Wrobel, Modern Symphonic Dark Metal act AEONS CONFER has proven to be unlike anything in the metal landscape since their inception in 1997. Perfected with the introduction of singer Bernhard in 2009, a new level of musical professionalism was reached. The six musicians from Hamburg, Germany, have dedicated themselves to be a wellspring of innovativeness, complexity as well as mind-blowing musical prowess and sheer aggression. AEONS CONFER term their style: Modern Symphonic Dark Metal. The music is based on the symbiosis of high-speed guitar storms, dark poetry with heroic vocals, majestical keyboard symphonies and infernal blast-beats. 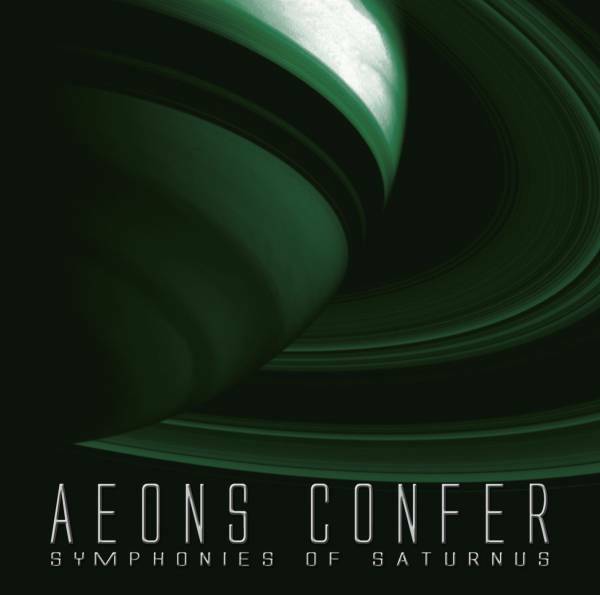 Whereas the original idea was to create the label "fast and complex Modern Symphonic Dark Metal", AEONS CONFER has by now become much more with the arrival of their first full length album "SYMPHONIES OF SATURNUS"- an unstoppable musical force that will shatter galaxies to their core! Why should a metalhead buy your album Symphonies Of Saturnus? Symphonies Of Saturnus is a professionally produced concept album with a tracklist of 14 songs and a total playing time of 78:28 minutes. The concept deals with a protagonist transformed by following the saturnian principles, on a voyage full of darkness and dystopia. The unique feature of the sound material combines different genres of Metal with classical music arrangements, electronic samples and sci-fi atmospheres. 2003 - EP "The Soul Of The Universe"
2003 - EP "Mirrors Heart"
2005 - The Chronicles Of AEONS CONFER - Compilation of the two ep´s "The Soul Of The Universe" and "Mirrors Heart" plus Orchestral Version and Video of the song "The Soul Of The Universe"
The reviews of our outputs were overwhelming and we´ve received a lot of good reactions across the globe. Yes, AEONS CONFER is a permanent live band. We´ve played a lot of gigs and festivals in Germany this year, for example Summer Breeze, Dong Open Air, Walpurgis Rock and Apes Enraged Open Air. AEONS CONFER consists of ambitious, competent and experienced musicians who are ready to promote band and album by all available means. Band members use original stage clothing and uniform appearance, corresponding with sci-fi image. Symphonies Of Saturnus will be interesting to all fans of extreme metal as well as epic music. Social media channels are ready for internet promotional campaigns. Shows and tours are planned in support of the album for 2013 and 2014.